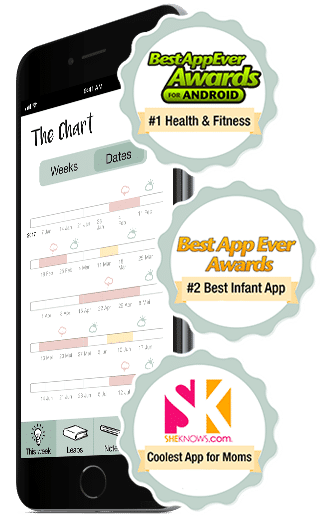 The Wonder Weeks® App - Multiple Award Winning App for Parents! The ‘original’ Wonder Weeks app! 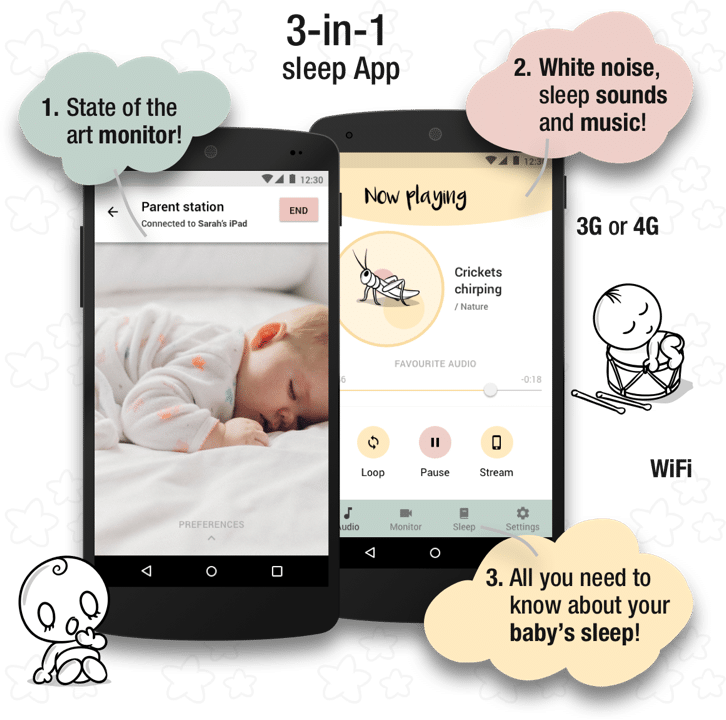 Picking up on the international bestselling book, The Wonder Weeks®, and more than 35 years of international scientific research, this app will keep you informed about the (mental) leaps and bounds of your baby — any time of day or night. This app won prizes in several countries as best parenting app! 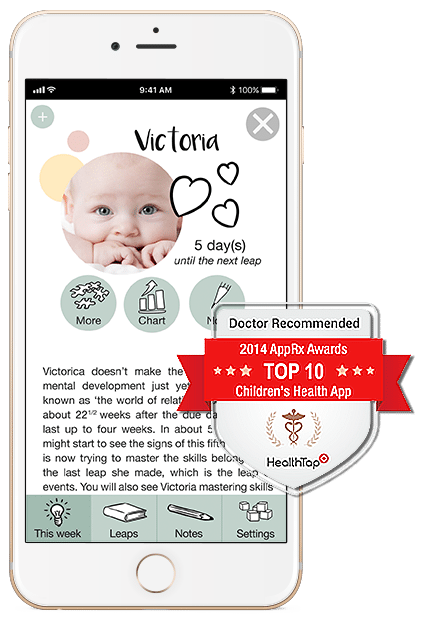 Out of 100,000+ apps, The Wonder Weeks® has been selected by leading doctors as a top health app. Think of it as a portable, at-a-glance version of the leap chart in The Wonder Weeks®. 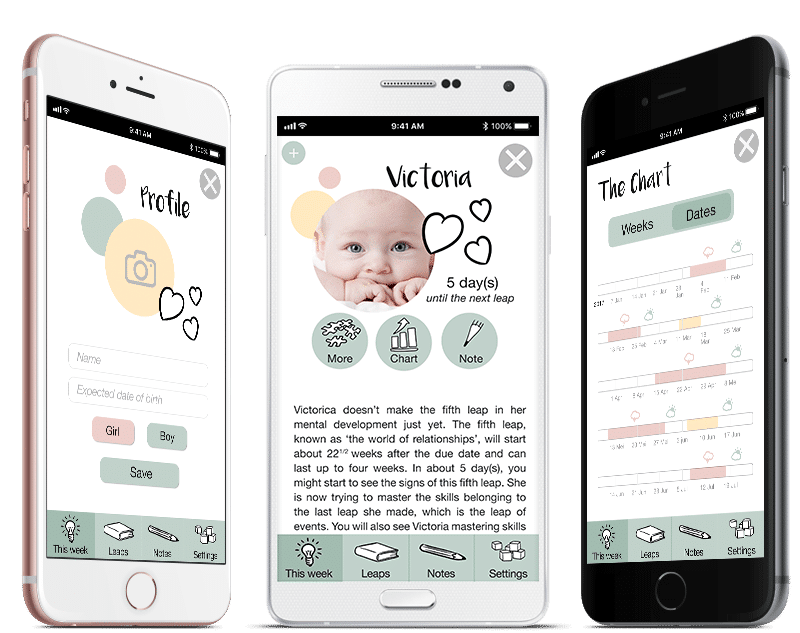 Where the book describes in-depth and easy-to-understand terms the incredible developmental changes that all babies go through, the app is the perfect companion element to track your baby’s mental development (during the first 20 months). Thousands of parents have asked us to make the book available on their phones at a reduced rate, so here it is! It’s perfect for those of you who want to go the extra mile and learn even more about a particular leap. 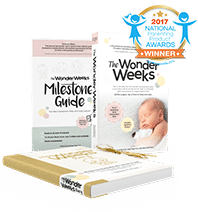 As an app user, you can purchase full chapters from the best-selling book, The Wonder Weeks®, at a reduced price! It is also a handy reminder for new parents when their baby’s brain is changing, or “leaping,” she is making a significant advance in mental development, and with each step forward comes a drastic change in the way your baby sees the world around him. Because these leaps come so quickly, the “new world” and new abilities can sometimes be scary, and the development can initially manifest in poor sleep, bad appetite, crying, clinging and crankiness – exhausting and frustrating mom and dad. SheKnows.com, made our App the:Coolest app for moms 2012! Get insights with the ‘original’ Wonder Weeks app, take pictures and treasure with The Wonder Weeks Milestone Memories app.